Under new proposals, applicants will only have to prove a connection to Ireland to get a .ie domain name. A PUBLIC CONSULTATION launches today on whether to change the rules for how people are able to register websites with a .ie at the end of it. Currently, an applicant seeking to have a website with .ie at the end must do two things: prove they have a valid claim to the desired name and a real, tangible connection to the island of Ireland. The IE Domain Registry (IEDR), however, wants to change this rule and make it that an applicant only has to prove a connection to Ireland to get this domain name. “If this policy change is approved,” it said, “any individual or business with a provable connection to Ireland will be able to register a .ie domain name on a first come, first-served basis”. The IEDR added that registering a .ie address in this manner will be easier and faster, and give individuals, communities and businesses an easier way to get online. This suggestion came from the group’s policy advisory committee which includes members from associations such as Enterprise Ireland, the Small Firms Association, the Law Society, and the Department of Communications. In recent years, the IEDR has also rolled new features for domain names such as allowing web addresses with fadas on the vowels and to allow one and two-letter domain names. 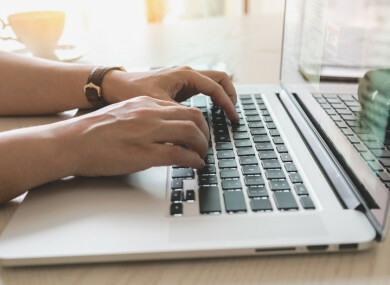 Commenting on this latest proposal, its CEO David Curtin said: “By dropping the ‘claim to a name’ requirement but retaining the connection to Ireland, we are removing a hurdle that slows down some registrants from getting started with a .ie address. One of .ie’s greatest values is that it is ‘identifiably Irish’. A business with a .ie address is immediately authentic, trustworthy and familiar. For that reason, the requirement to prove a connection to the island of Ireland will not be going away. As of 30 June 2017, there were 230,611 .ie domain names registered in the IEDR database. In the first half of this year alone, 20,255 new domains were registered. Members of the public who want to submit their opinions on this proposed policy can do so here. Email “Want to set up a .ie website? You may not need a 'valid claim to the name' to get one anymore”. Feedback on “Want to set up a .ie website? You may not need a 'valid claim to the name' to get one anymore”.